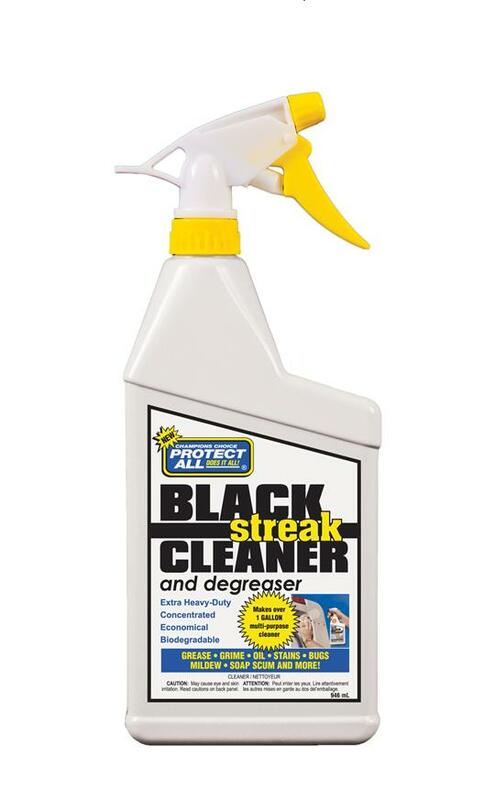 Tackle Pesky Streaks and Stains! 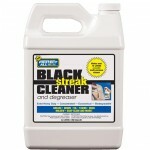 Use it at full strength on pesky black streaks, grease and grime! 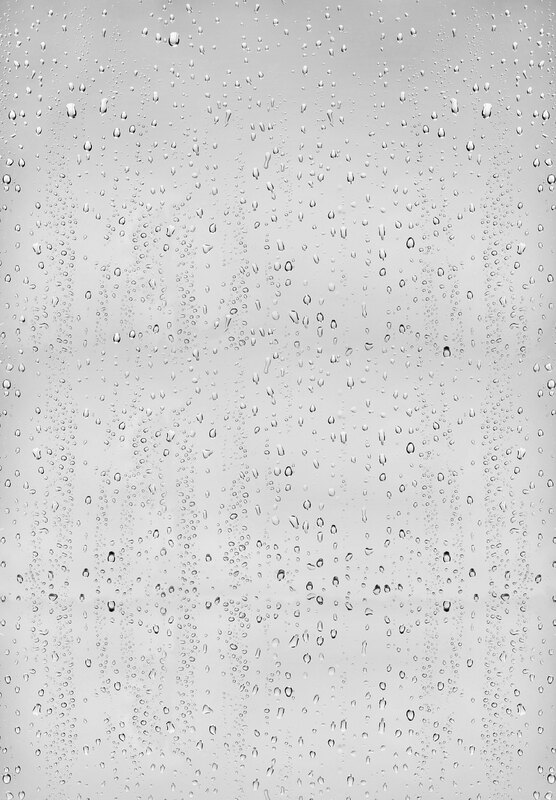 Or, use it as an economical general-purpose cleaner – dilute 32 oz. to make one gallon of cleaner/degreaser! 1 gal., 32 fl. oz. 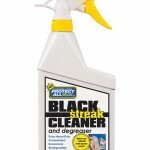 Protect All Black Streak Cleaner and Degreaser has been formulated as an extremely effective and powerful multi-use cleaner. 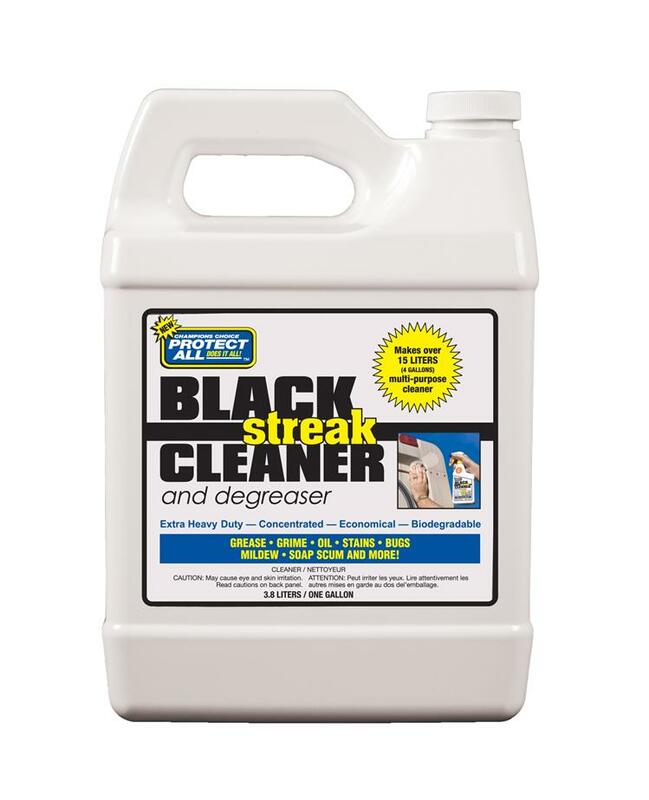 Extra heavy-duty and super concentrated, it removes the heaviest black streaks quickly and easily, and may be diluted for 100’s of indoor and outdoor uses. Very economical! Use full strength for big jobs and dilute to make gallons of multi-purpose cleaner. Biodegradable. Low-foaming action allows it to be used in automatic scrubbers, pressure washers and steam-cleaning equipment. 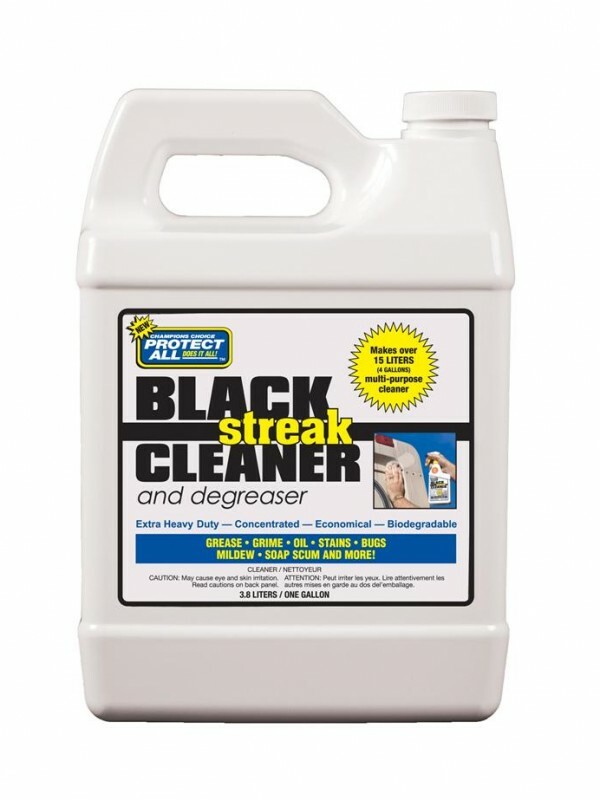 Does so much more than your average black streak remover. Use Protect All Black Streak Cleaner and Degreaser full strength on black streaks, fiberglass, engines, wheels, whitewall tires, grease and oil stains, grills, concrete, brick, tools and other heavy-duty cleaning jobs. Dilute for lighter cleaning tasks such as awnings, appliances, stove vents, patio furniture, showers, sinks, tile, stainless steel, aluminum, chrome, finished woodwork, vinyl, windows, glass, mirrors, TV and computer screens, painted walls, light fixtures, ceramic and more. Just apply Black Streak Cleaner and Degreaser to soiled area. Wipe with cloth, sponge or soft brush for heavily soiled areas. Wipe with damp cloth or rinse off with water. 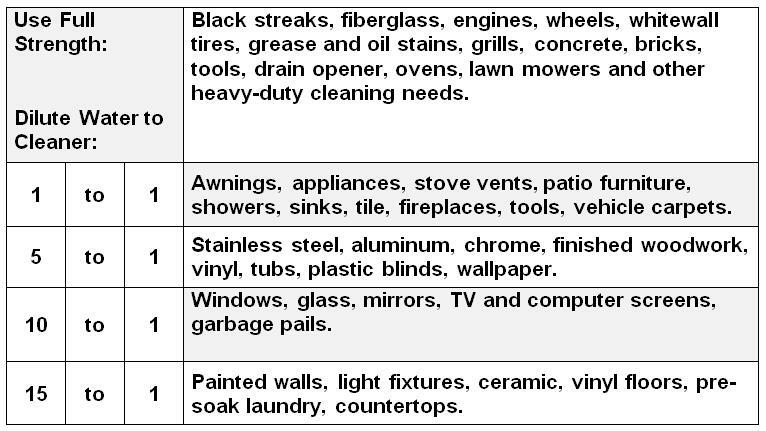 Black streaks, grease and oil, stains, bugs, mildew, soap scum and more!